Cheesecakes can be notoriously rich and heavy with all that creamy filling. This cake is none of those things. 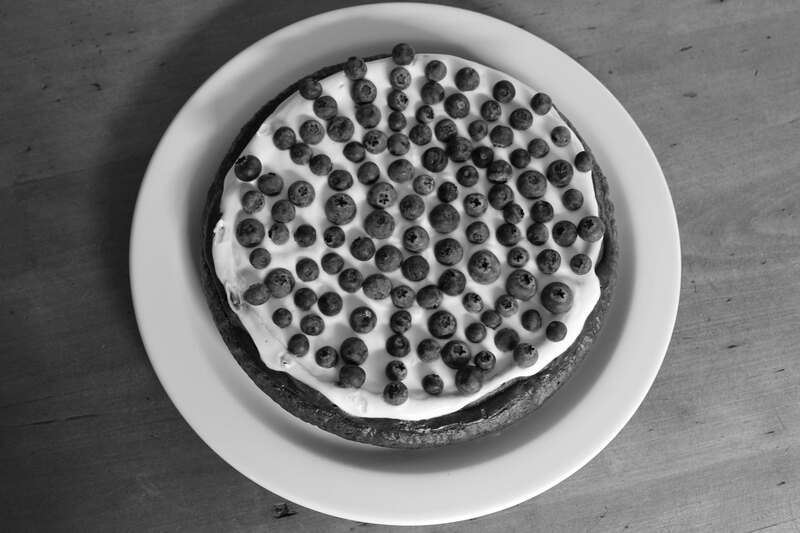 The lemon juice, the blueberries, the gingery crust and the yoghurt topping make this cake super light and zingy. The topping of vanilla infused yoghurt mimics the New York style cheesecake with it’s sour cream, but while after a slice of a traditional cheesecake I usually feel like going to bed, this one has none of that heaviness. Steph’s cheesecake from Raspberri Cupcakes was my inspiration, but as a quick decoration I opted for fresh blueberries- the last of the season. Those macaroons are still a wee bit beyond my baking abilities I think! Preheat oven to 160C (320F). Mix crushed biscuits, sugar and butter well, and press into the base of a greased and lined 25cm springform tin. Bake until the crust is set and golden. For the filling beat the cheeses together until just combined! Overbeating will affect the texture. Slowly incorporate the sugar until fluffy. Add the eggs one at a time. Spread evenly into the pan and bake for 40 to 45 minutes. Leave to cool completely. For the topping mix the ingredients together until combined and pour over the cooled cheesecake. 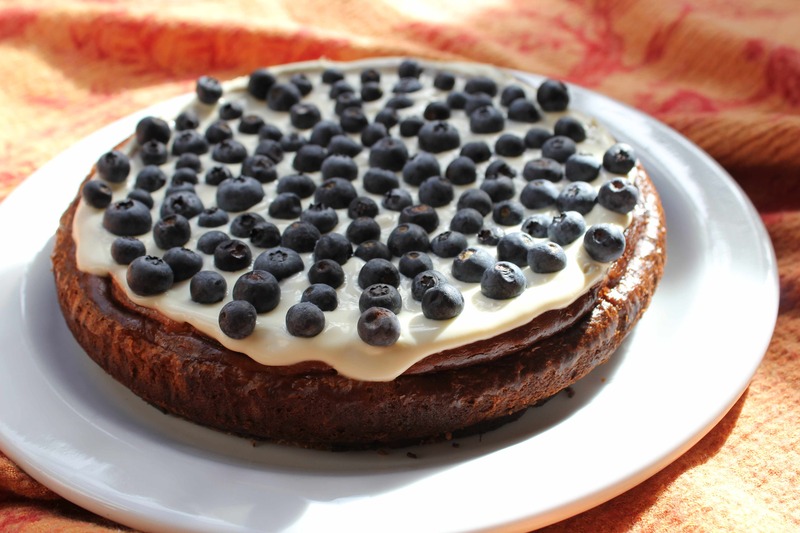 Scatter your blueberries on top! Enjoy. 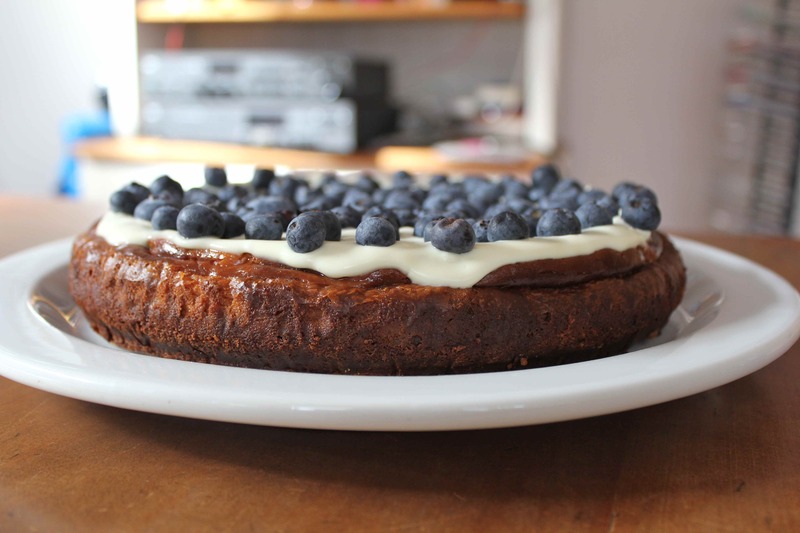 This entry was posted in Cheesecakes and tagged blueberries, cheesecake, lime and coconut, New York, yoghurt cake. Bookmark the permalink.